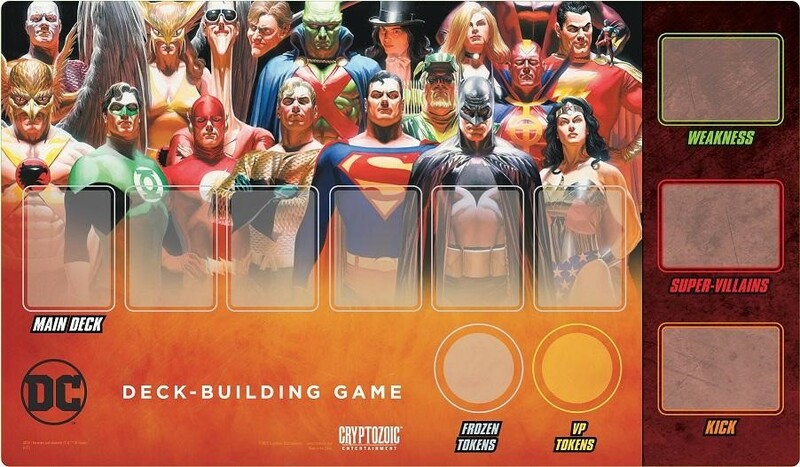 The DC Deckbuilding Game has been a popular game since its introduction in 2012. Now, Cryptozoic has finally offered what players have been asking for–an organized play kit to allow players to play the game in a tournament format. 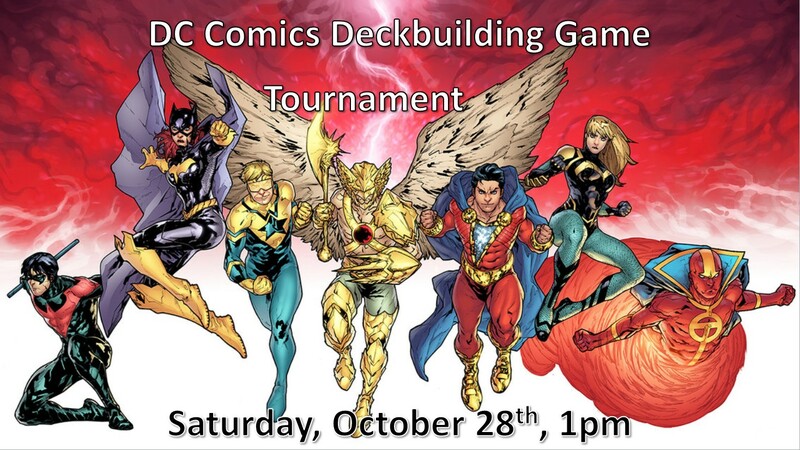 The Relentless Dragon is proud to host our first ever DC Deckbuilding Game tournament on Sunday October 28th, at 1pm. Players will be split into pods of 3 or more players in order to play 3 total rounds of the DC DBG. Each round will last 1 hour, at which point the game will end and scores will be tallied. Players will receive tournament points based on their standings in each round. For subsequent rounds, players will be re-paired for their next pod based on their cumulative tournament points. Tie-breakers will be determined by number of Super-Villains defeated and total number of cards in deck. 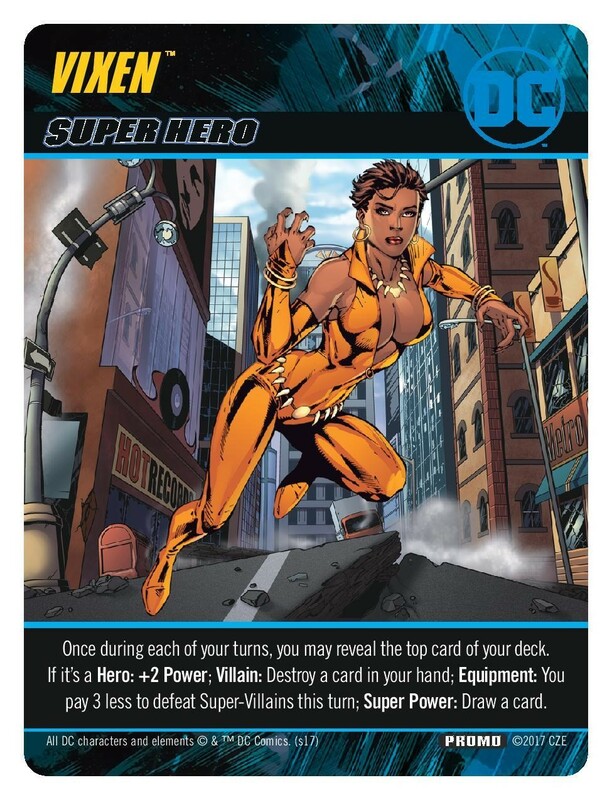 The top 12 players will receive an exclusive Vixen Super-Hero promo card, while the top player overall will receive an exclusive playmat.